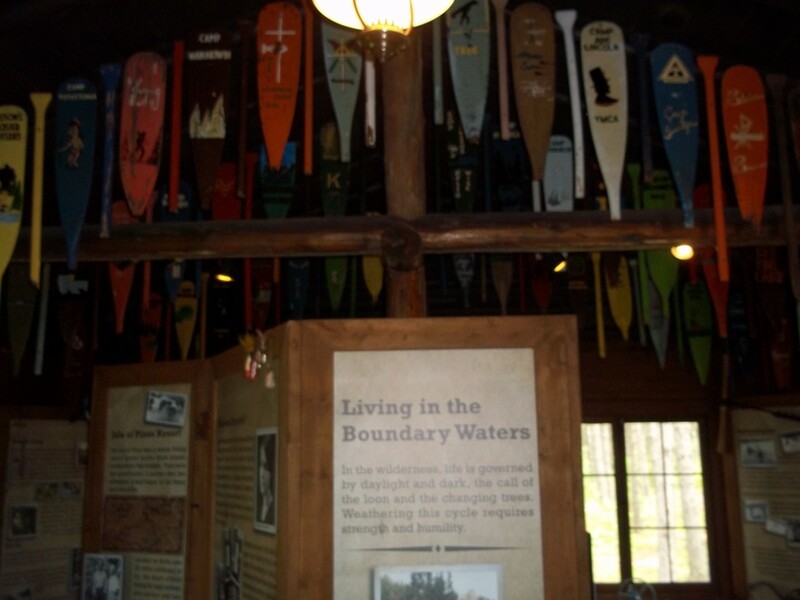 The Cabin of the Root Beer Lady, also known as the Dorothy Molter Museum, tells an interesting tale of the last remaining resident of what is now known as the Boundary Waters Canoe Area Wilderness in northern Minnesota. 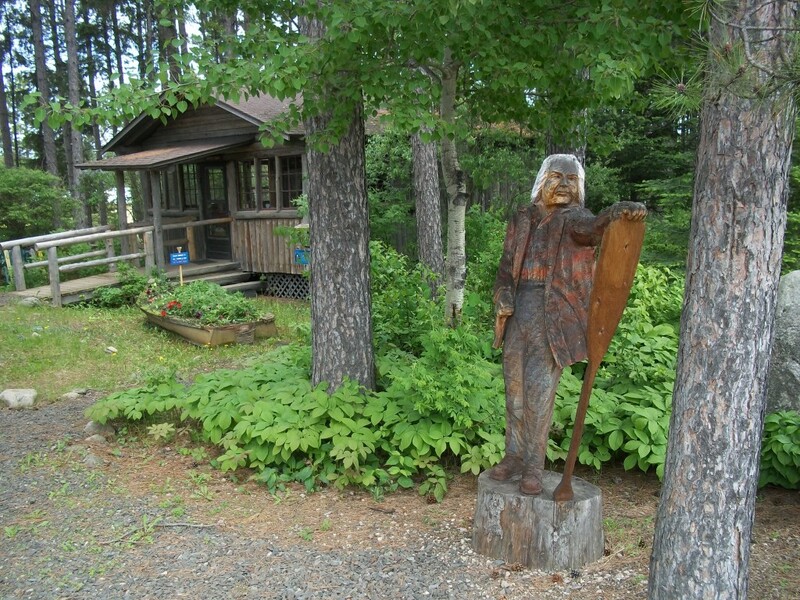 Dorothy Molter lived on the Isle of Pines on Knife Lake near the Minnesota/Ontario border for more than 56 years, roughly 15 miles from the nearest paved road. But as off the grid as this sounds, she was anything but anonymous. 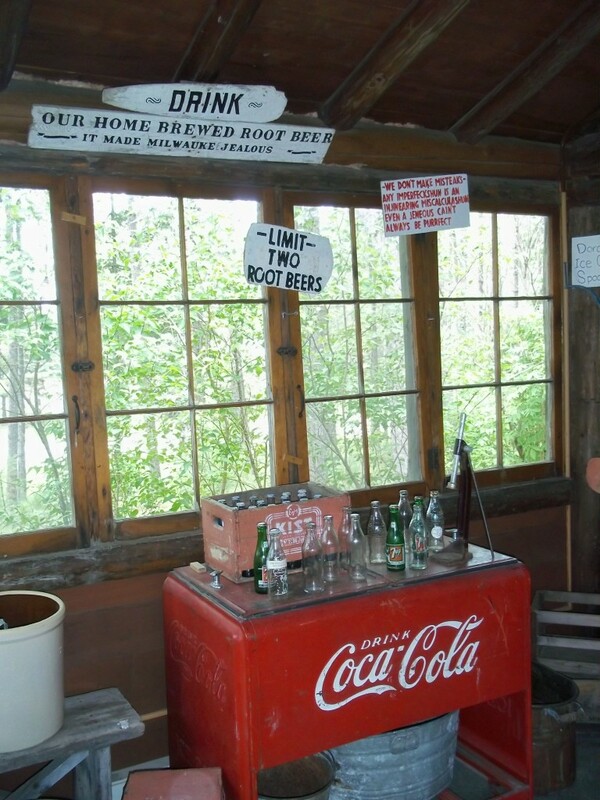 She was visited by as many as 7,000 people a year at her wilderness home, most people stopping by to chat, some for medical assistance (Molter was also a nurse), and some to try her famous homemade root beer. Dorothy moved up to the Isle of Pines in 1934 to look after Bill Berglund who owned and operated the Isle of Pines Resort . When he died, she ran the resort up until 1975. She made fences out of broken canoe paddles (see below) and made homemade root beer using the crystal clear water and other ingredients for her guests. Due to the Wilderness Act in 1978, Dorothy’s property was condemned and purchased by the United States government. She was informed that she was to be evicted as the land was to be used as a wilderness area in Superior National Forest. Her home, one of the most isolated in the country, was being seized right from under her, until a group of friends and supporters petitioned the government to let her live out her last days in seclusion. She was the last remaining person to permanently live in the Boundary Waters. 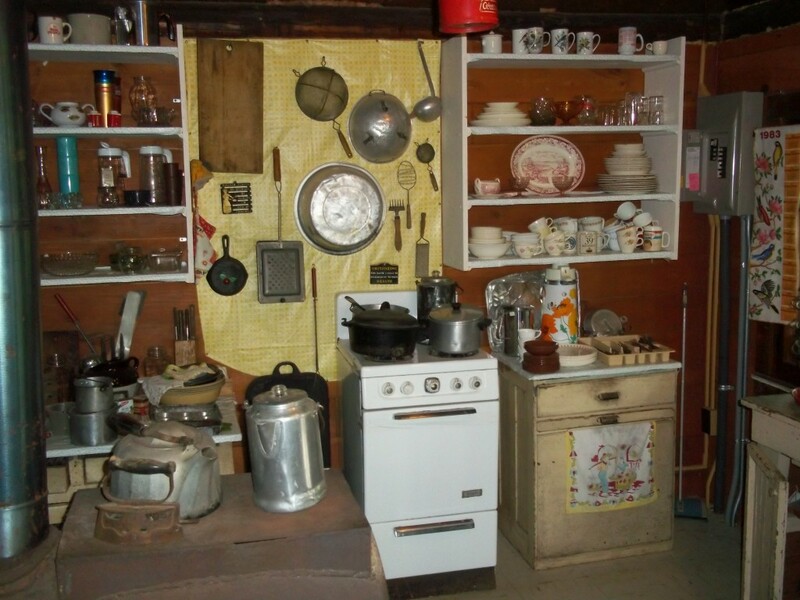 The museum costs $6.50/person to tour two of her original, transplanted cabins which contain personal effects, many of her tools and equipment, and a snowmobile from the 1950’s. The second cabin on the site has interpretive displays about her life and an educational video with interviews with Molter. The gift shop has plenty of memorabilia and souvenirs, and ice cold bottles of root beer for sale, using her original recipe. 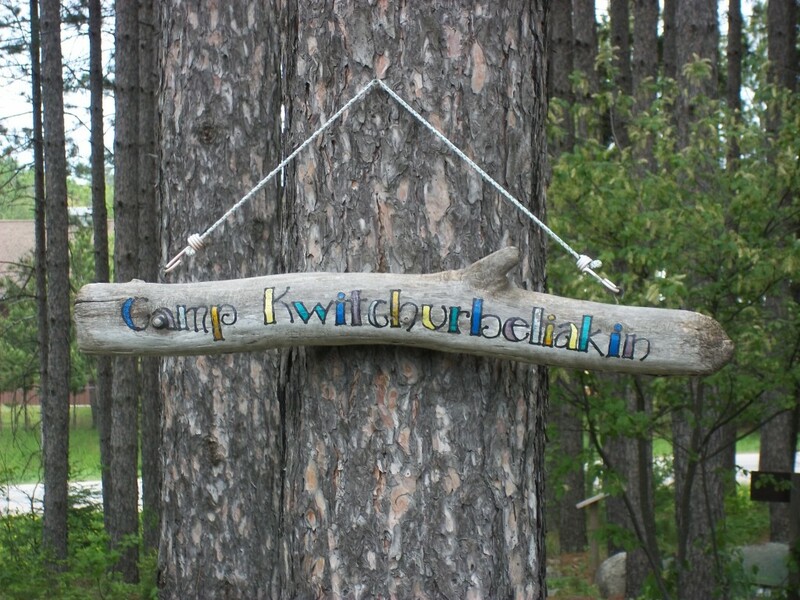 Many of the items in the shop include her signature slogan, “kwitchurbeliakin.” Make sure you check out the chainsaw sculpture of Dorothy Molter herself. Her life an amazingly inspirational tale. While in the area: Canoeing, hiking, exploring, camping, swimming, fishing, shopping, Bear Center, Wolf Center, brewpubs, and Boundary Waters outfitters, you know, just to name a few. 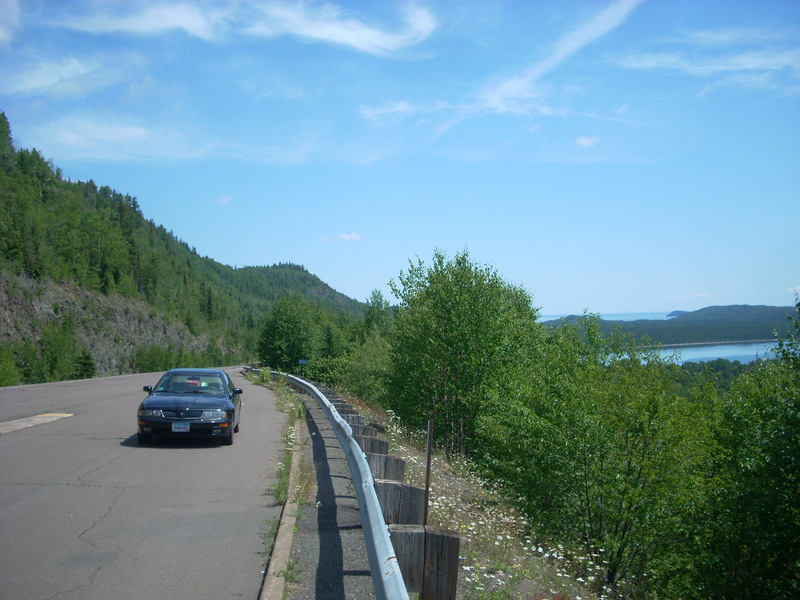 This entry was posted in Highway Highlights and tagged Ely, MN, Museum, Root Beer by Seth5544. Bookmark the permalink. Love visiting Dorothy’s Museum each year. There is a new expanded gift shop, the root beer is great, and there is also a Dorothy book published two years ago that contains many of Dorothy’s Christmas letters. 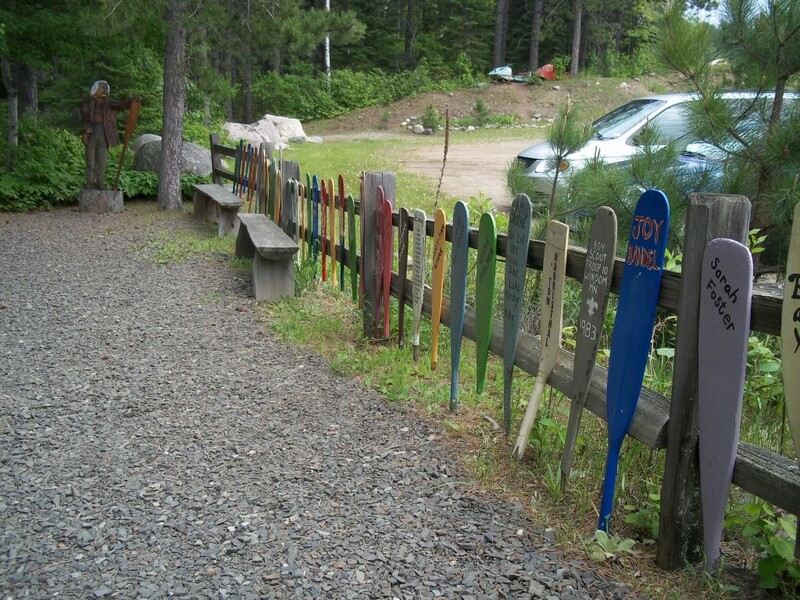 l love the canoe paddle fence! How can I purchase a copy of Dorthys Christmas letters? To order any of the products from the Dorothy Molter Museum and to see more information about her, check out the website http://www.rootbeerlady.com or go to her Facebook page. She was an amazing woman and a good friend to travelers in canoe country.